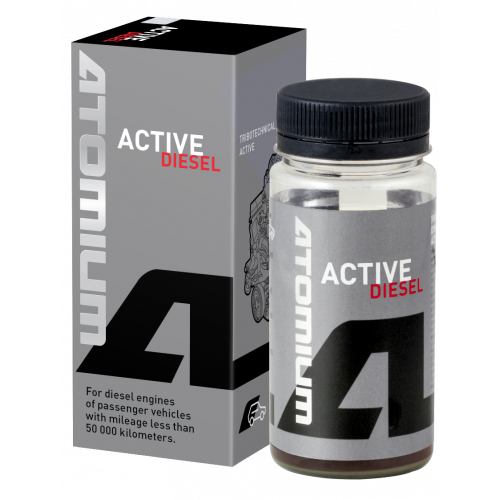 Add the composition of the lubricant Atomium Active Diesel New into a warmed-up engine oil through the oil filler tube (the calculation of benefits see diagram). With the vehicle then drive till the next regular oil change (incursion over 1000 km). In case of significant oil contamination (recognizable by the color of the oil on the dipstick or by oil stains on the filter paper), immediately starts with the second phase of treatment. Recommendations (after the 1st stage): Change the engine oil. Replace oil and air filter. 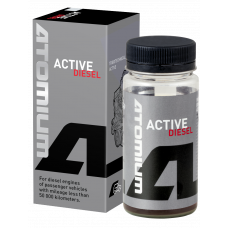 To achieve the full level of protection the treatment of all vehicle parts is recommended, such as transmission gears, hydraulic power steering or high pressure fuel pumps & Common Rail Systems etc. Not harmful if applied correctly. For gearboxes, differentials, reduction gearboxes of all types. The treatment takes place until the next oil change in the gearbox ..